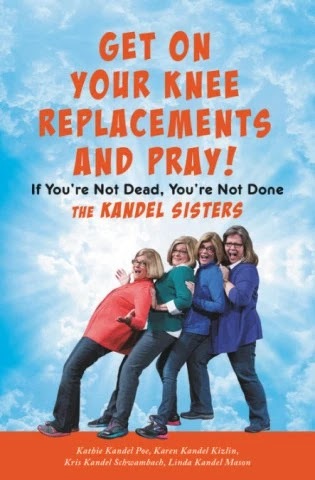 Kathie (Kandel) Poe '72, Karen (Kandel) Kizlin`72, Kris (Kandel) Schwambach `72 and Linda (Kandel) Mason `76 new book Get on Your Knee Replacements and Pray! If You're Not Dead, You're Not Done, publish date is April 2, 2019. Visit hachettebookgroup.com for more information.